Hockey Night in Barrie 7 Recap #HNIB - Very Barrie Colts | A website covering the Barrie Colts of the OHL. 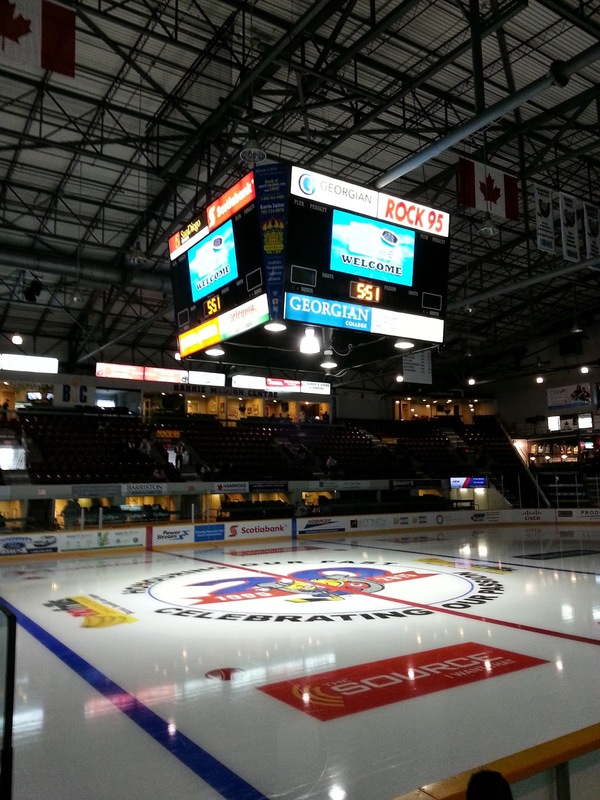 On Thursday, August 14th I attended Hockey Night in Barrie which was held at the Barrie Molson Centre, home of the Barrie Colts. This is a charity hockey game held in Barrie every year to support the Royal Victoria Regional Health Centre (RVH http://www.rvh.on.ca/) a local hospital right here in Barrie. 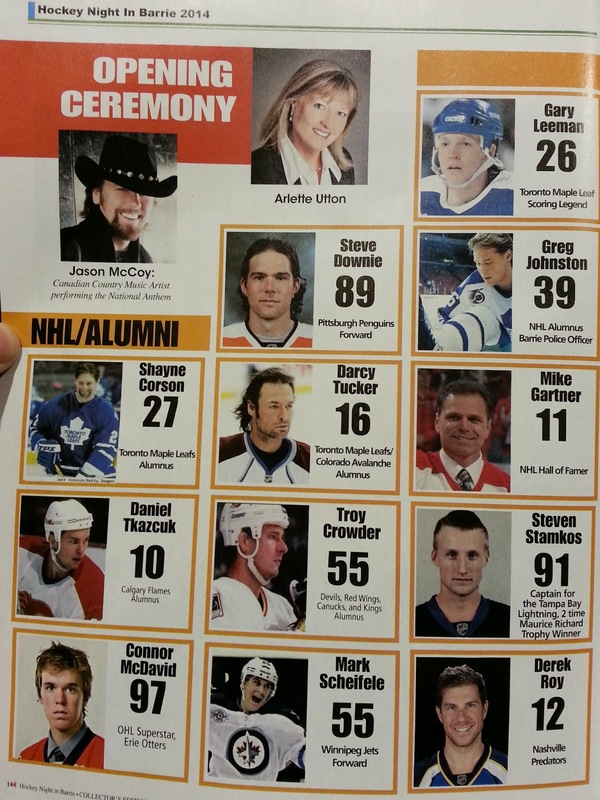 On hand were several NHL stars from the past and present, celebrities from television and music and more! The event was not only entertaining but it was a huge success. 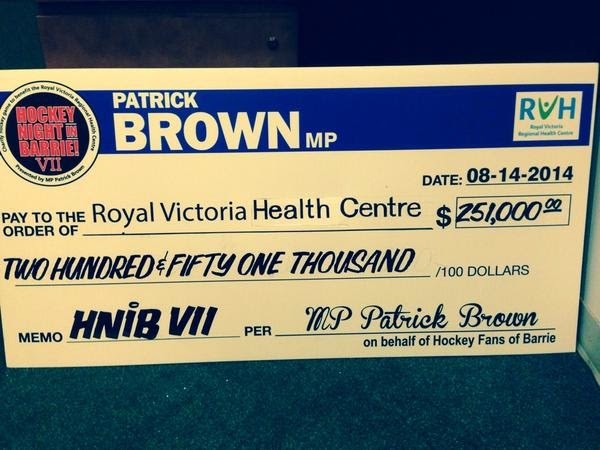 Each year, Patrick Brown (Barrie MP) finds a way to make this event bigger and better. Not only for the fans, but for the cause. Again, the event topped its highest total of money raised bringing in a total of $251,000! (last year they raised $250,000) It was also announced that over all 7 events they have raised over $1.4 million for RVH! This years game was the Colts Alumni vs the NHL All-Stars. 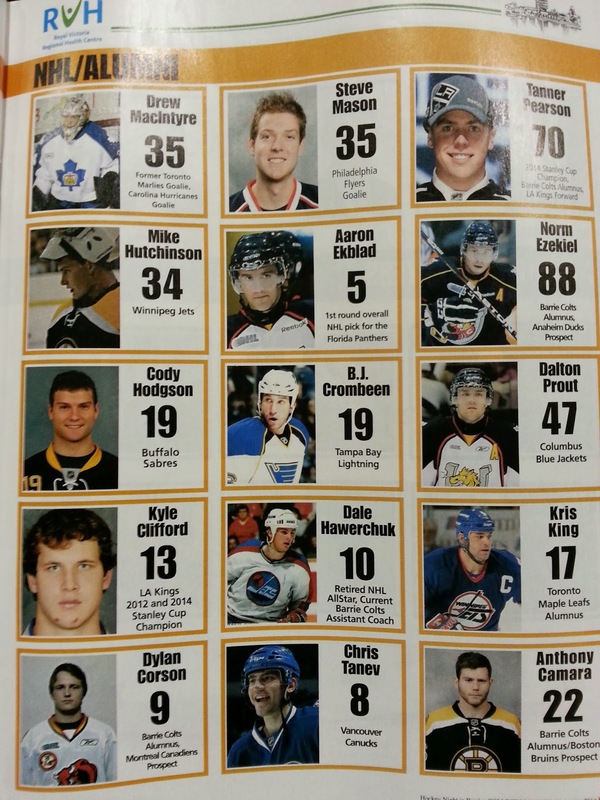 The Barrie Colts Allum team consisted of former Colts like Mark Scheifele, Tanner Pearson, Kyle Clifford and others while the NHL All-Stars had Derek Roy, Steve Downie, James Neal and others! Both Aaron Ekblad and Steven Stamkos were at the event but did not play. Ekblad, as we know suffered a concussion over seas in a pre-tournament game for the 2015 World Juniors, and Stamkos was said to be fighting an injury as well. The injury was not disclosed. Here is the entire lineup. Though it seemed the game would be a blow out, it ended pretty close with the Colts Alum team getting the win. Though they won the game on the score board, it was the Fans in attendance and the RVH that came out the real winners. Thank you to Patrick Brown, the Barrie Colts, the people who worked hard to make this event possible and all the players who took time out of their busy schedule to help a great cause!